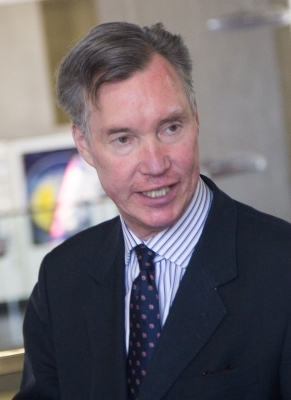 Henri Albert Gabriel de Nassau, Grand-Duc de Luxembourg was born on 16 April 1955 at Betzdorf CastleG.1 He is the son of Jean Bernot Guillaume de Nassau, Grand-Duc de Luxembourg and Joséphine-Charlotte de Belgique, Princesse de Belgique. He married Maria-Teresa Mestre y Batista, daughter of José Antonio Mestre y Alvarez-TAbio and Maria Teresa Batista y Falla, on 14 February 1981 at LuxemburgG. 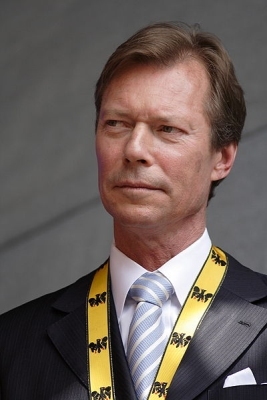 Jean Felix Marie Guillaume de Nassau, Prince de Luxembourg was born on 15 May 1957 at Betzdorf CastleG.1 He is the son of Jean Bernot Guillaume de Nassau, Grand-Duc de Luxembourg and Joséphine-Charlotte de Belgique, Princesse de Belgique. He married, firstly, Hélène Suzanne Vestur, daughter of Philip Vestur and Cecile Ernestine Buisson, on 27 May 1987 at Paris, FranceG, in a civil marriage. He and Hélène Suzanne Vestur were divorced before 2009.2 He married, secondly, Diane de Guerre, daughter of Claude Gaston de Guerre and Eugenie Gräfin Wolff Metternich zur Gracht, on 18 March 2009.2 Jean Felix Marie Guillaume and Hélène Suzanne were also married in a religious ceremony on 28 May 1987. He gained the title of Prince Jean de Luxembourg.1 He abdicated as Prince of Luxemburg on 26 September 1986. On 26 September 1986 his name was legally changed to Jean Felix Marie Guillaume Nassau. Marguerite Antonia Marie Felicite de Nassau, Princesse de Luxembourg was born on 15 May 1957 at Betzdorf CastleG.1 She is the daughter of Jean Bernot Guillaume de Nassau, Grand-Duc de Luxembourg and Joséphine-Charlotte de Belgique, Princesse de Belgique. She married Nikolaus Ferdinand Maria Josef Raphael Prinz von und zu Liechtenstein, son of Franz Joseph II Fürst von und zu Liechtenstein and Countess Georgine von Wilczek, on 20 March 1982 at LuxemburgG. Guillaume Marie Louis Christian de Nassau, Prince de Luxembourg was born on 1 May 1963 at Betzdorf CastleG.1 He is the son of Jean Bernot Guillaume de Nassau, Grand-Duc de Luxembourg and Joséphine-Charlotte de Belgique, Princesse de Belgique. He married Sibilla Sandra Weiller, daughter of Paul-Annick Weiller and Olympia Torlonia, on 8 September 1994 at Paris, FranceG, in a civil marriage. Guillaume Marie Louis Christian and Sibilla Sandra were also married in a religious ceremony on 24 September 1994 at Versailles Palace, Versailles, Île-de-France, FranceG. [S12] C. Arnold McNaughton, The Book of Kings: A Royal Genealogy, in 3 volumes (London, U.K.: Garnstone Press, 1973), volume 1, page 435. Hereinafter cited as The Book of Kings. Maria Isabel de Borbón, Infanta de España was born on 21 August 1817. She was the daughter of Fernando VII, Rey de España and Maria Isabel de Bragança, Infanta de Portugal. She died in 1818 at Madrid, SpainG. unnamed daughter de Borbón was born on 26 December 1818. She was the daughter of Fernando VII, Rey de España and Maria Isabel de Bragança, Infanta de Portugal. She died on 26 December 1818. Maria Luisa de Borbón, Infanta de España was born on 6 July 1782 at San Ildefonso, SpainG. She was the daughter of Carlos IV, Rey de España and Maria Luisa di Borbone, Principessa di Parma. She married Luigi I di Borbone, King of Etruria, son of Ferdinando I di Borbone, Duca di Parma and Marie Amalie Erzherzogin von Österreich, on 25 August 1795 at Madrid, SpainG. She died on 13 March 1824 at age 41 at Rome, ItalyG. Her married name became Infanta de España. She gained the title of Duchesse de Luques in 1815.